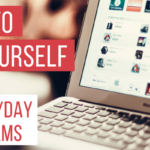 If you’ve submitted your personal information when applying for an online payday loan, chances are you’ve been victim of someone attempting to illegally collect on fake payday loan debt or someone falsely promising a payday loan debt settlement. It’s important to know the difference between legitimate payday loan consolidation companies and those that are out to get your money. We work with hundreds of clients every single day who have received payday loans and are looking for payday loan relief. Nearly 100% of them have been victim to some payday loan scam. When applying for payday loans online, you’re submitting personal information (social security number, address, DOB, etc.) that unfortunately gets in the hands of untrustworthy people. That’s why it is so important to know what to look for in legitimate payday loan consolidation companies. So, how can you protect yourself, find payday loan relief, and eliminate payday loans? If you receive a phone call from someone claiming that you owe money for payday loan debt, be cautious. Be aware that this could be a scam. 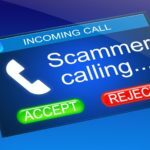 These scam artists are good at what they do and can trick you into giving away your money if you’re not careful. 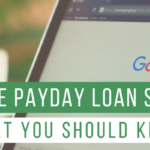 They have all of your personal information and may even know the information for the legitimate payday loan consolidation companies who you’ve taken out loans with before. They may claim to be representatives from that payday loan company and that they’re here to help you eliminate payday loans. Their job is to lie, and you should be aware of that. They will do everything they can to convince you to give them the money they say you owe them right then. And if you don’t pay up, their next tactic will be to scare you. They may convince you that you’ll be taken to prison, or that they’ll be filing charges against you, or that the sheriff is coming for you at work. We’ve heard it all. Do not discuss anything until you receive a written confirmation of the debt. Ask for a written confirmation of the debt immediately and do not discuss anything until you receive a written confirmation of the debt. If this is a legitimate payday loan consolidation company that you do owe money to, they will be willing and able to send you written confirmation of the debt they’re requesting payment for. Reputable companies won’t require you to eliminate your payday loans on the phone immediately. Do not give or confirm any personal or confidential information. These scam artists are good at what they do, and they have all of your personal information. They may seem credible, and you may be scared. Whatever you do, though, do not give or confirm any of your personal or confidential information with them over the phone. They may ask for your bank account information or credit/debit card to process the payment they’re alleging you owe. Do not give them this information over the phone. Do not give them or confirm any information until you receive written confirmation of the debt and have ensured that this is a legitimate payday loan consolidation company. They may promise you payday loan relief, but they are really just after your money. Don’t fall for their tricks and do not give them any information, regardless of what they say. If these fake payday loan debt settlement companies won’t leave you alone, it’s time to take action against them and get some payday loan relief. Filing a complaint with the FTC should be your next step. The Federal Trade Commission (FTC) enforces laws to protect consumers from deceptive and illegal payday lending operations. If you are contacted by someone who you believe has falsely obtained your information or is posing as someone they are not and attempting to collect money they’re falsely due, file a complaint with the FTC right away. Don’t fall for their payday loan debt settlement scams. Educate yourself on your rights and if something feels wrong, listen to your gut and file a claim. Be cautious of applying for online payday loans. Once you’ve submitted your personal information to an online payday loan company, you’ve opened yourself up to potential scams. Be wary of applying for payday day loans and do your research to find legitimate payday loan consolidation companies. The short-term gain is not worth the long-­term struggle. If you’re currently struggling with debt and want to eliminate payday loans, our team is here to help. 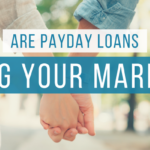 At Real PDL Help, we work one-on-one with our clients to help them get some payday loan relief and regain control of their life (and finances). Contact us today!